We supply you with an outdoor box, this box contains 2-4 litter trays that youcan use to change your litter throughout the week. As you use your trays you simply put them in the outdoor box and use a fresh one. 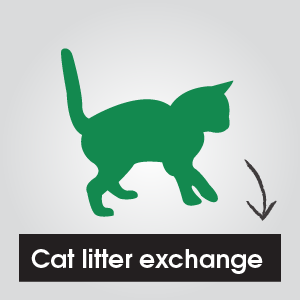 We will nominate a day through the week to replace all litter trays, this can be done with or without being at home,as the outdoor box can be left either the front or back garden. Most of us are busy with school or work commitments and cleaning up after cats is time consuming. cleaned frequently enough. If needed, it might need to be cleaned twice a day. You must avoid emptying litter trays if you are pregnant, also children should be kept away from any litter trays in your house. 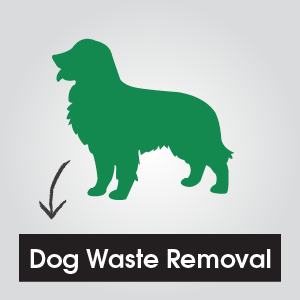 Pet Waste Solutions can help with this chore. Just give us a call and we will discuss a service plan. Payments can be made weekly, fortnightly or what is best for you. Discounts for O.A.P’s and disabled.